Ideal for your coastal living room, the Buckingham 3 Door Gray Wash Veneer with White Fretwork Console is the perfect blend of style and craftsmanship with a quatrefoil motif in gray wash and white. Ships from the manufacturer. Allow 1 to 2 weeks. Cannot express ship this beach style furniture. 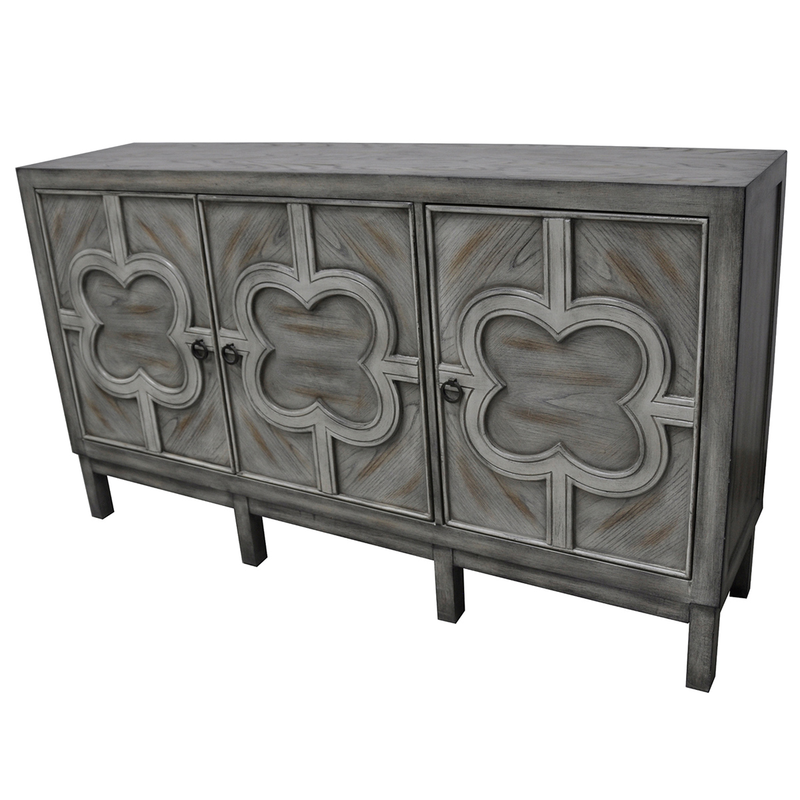 For more pieces, we invite you to take some time to review our extensive array of beach style cabinets at Bella Coastal Decor now.